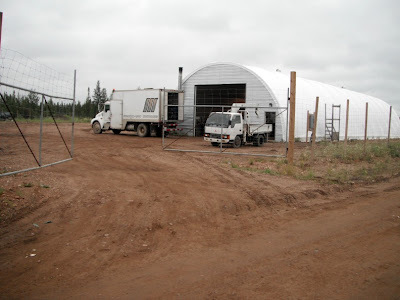 Kwi is an oilfield service contractor located in Fort McMurray. 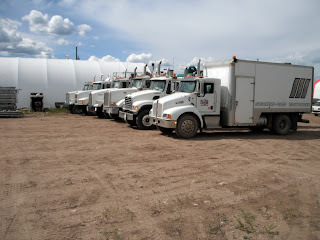 We offer Vacuum trucks, Steamers, Water trucks, Combination vac/steam trucks, and general labor for companies in North Eastern Alberta Canada. We specialize in oil spill clean-up, exploration, and service to oil sand producers. We are also possibly interested in offering an investment opportunity or we can be a launch pad for new services and or products in North Eastern Alberta. For more information please refer to the oilfield services page. KWI Standard is our commitment to exceed customers expectations in all our levels of operation. What that means is that our people are expected to provide on time efficient quality service as a standard not the exception. The personnel that show up will be experienced, all they're oilfield certificates will be current, and be fit to work. Our equipment will show up properly maintained and equipped to do any job related to the specific task that you've requested. And most of all we'll do the job safely and correctly the first time. You can count on us to be professional and do it right!